"God had passed through here" (2012). Začiatkom tohto roka uverejnila arménska spravodajská agentúra Armenpress zoznam najpredávanejšich kníh v krajine. Po prvýkrát sa v tomto zozname umiestnila po knihách Paula Coelha, Antoine de Saint-Exupéryho a Gabriela Garciu Márqueza aj kniha "Mercy For Frosya" od arménskeho spisovateľa a esejistu Hovhannesa Jerenjana. Počtom predaných kníh sa vyšplhala až na štvrté miesto. In 2013 Hovhannes Yeranyan wrote book whit name Alms for Frosya. It is very famous book in Armenia. The author had originally titled this collection of short stories “Soviet, post Soviet,” although the pivot of his interest was not the collapse of that country. Nor were they the sudden, political and social changes that gave birth to new countries, wars, and a continual misery. Rather, it is the people who lived right in the middle of cataclysms and fell victim. And people, who still continue to relive that past. В этом интервью говорят поэт Акоп Мовсес и прозаик Ованес Еранян о том что турки присвоили культурные ценности народов котопые были в пегионе где сечяс располагается Турция. 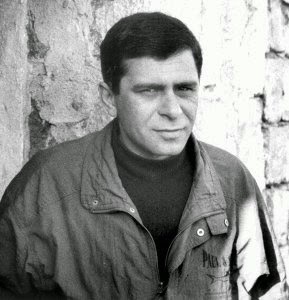 Hovhannes Yeranyan is a contemporary Armenian writer, playwright, essayist and journalist. After graduating the Yerevan State University of Theater and Arts he started to work as a journalist in both print media and television. He is the author of several documentary films and programs on Armenian culture and literature. He has written a vast number of essays and reviews on arts and literature. His short stories, plays and novels have been published in four books: “The Only Footprint”, “The Truce”, “The Census” and “The Most Beautiful Strike”. In 2010, his last book “The Most Beautiful Strike” received “The Best Novel” award at “The Armenian in the 21st century” competition organized by the Union of Armenians in Russia. Hovhannes Yeranyan work has been translated into German, English, Holland, Dutch, and Persian. His book “The Census” is a collection of short stories about the migration during the crisis of the 1990’s, when the Armenian immigrants established themselves in different countries around the world. The Armenian protagonists of these stories are wanderers, nomads, living outside of their homeland in search for better opportunities and a better life for their children. Having left their country after the economic collapse of the Soviet Union, they found their new homes around the world. The author gives us an inside view of the struggle each migrant has to face while starting a new life in a new place. These tales of the universal immigrant experience are relevant to many ex-soviet republics. Zborník pozostáva z rovnomenného románu a niekoľkých poviedok o arménsko-azerbajdžanskej vojne o Náhorný Karabach. Jeranjan sa dotýka aktuálnej témy vyše dvadsaťročného konfliktu a opisuje životy ľudí, ktorí sa chtiac alebo nechtiac stali jeho účastníkmi a obeťami. Poviedka Klamný deň sa považuje za jedno z najlepších diel autora. Svetlý obrázok krásneho, teplého dňa postriekaný farbou krvi, zvuky nedávno utíchnutých bojov sa ešte ozývajú v rannom tichu na prázdnej ceste, pozdĺž zamínovanej lúky. A rovnako jasne počuť plač batoľaťa, idúceho tou cestou, s rúčkami od krvi, chvalabohu nie vlastnej, Hľadá na lúke miesto na hranie a zaspáva tam, niekde medzi životom a smrťou. Hovhannes Yeranyan is a contemporary Armenian writer, playwright, essayist and journalist. After graduating the Yerevan State University of Theater and Arts he started to work as a journalist in both print media and television. He is the author of several documentary films and programs on Armenian culture and literature.